There are 9 reviews of Habdan. A bit sweeter than I'd prefer. That's the up front first impression. Like walking past the caramel apple booth at the carnival. But patience pays off when the rose and incense start taking over. Not bad, just not as good as some others by PDM. Apple, Caramel & smoky incense. On paper it sounds really nice but actually quite average. Strength is not up to PDM usual high standards. Harsh saffron-rose-oud opening, similar to many Montale scents but also close to Perry Ellis Oud Rose Saffron. The drydown is much nicer, but takes a while to settle. In the end, it reminds me of D&G The One with extra incense. I do get some apple, but not much in the entire development of the fragrance. Average projection for the first few hours and then sits closer to skin but lasts all work day. Starts off very strong with heavy frankincense. Then the apple and caramel come in to balance out the incense notes and bring a little sweetness. With the frag finally adding myrrh to give it a more balsamic scent. I did get hints of cinnamon although it’s not listed in the frag notes. I didn’t get any hints of the rose listed. Sillage and longevity are through the roof. Sprayed on at 10:30am and took a shower around 4 pm, it is now 10:45pm and it is sill going strong. This was a blind buy on a really good sale and I couldn’t have asked for too much more. Overall an easy 8.5/10. Caramel Apple sums up this boring fragrance. Some Frankincense and Myrrh are added to make it sound and smell exotic. But does not work. After a somewhat promising start, Habdan turns out to be a Montale-wannabe well into a fat-loss program, performing a low-fidelity rendition of a woody oriental composition loosely structured around Givaudan's safraleine. It's warm, woodsy, with a touch of spice and sweetness in the background. I'm not saying it's bad but it could have been oh-so much better. Having experienced Flavigny's impressive work in Fragrance du Bois' Oud Bleue, Habdan inevitably comes across as a big let down. It's the olfactory equivalent to listening to an orchestral live performance with cotton balls in your ears. Everything's muffled up. 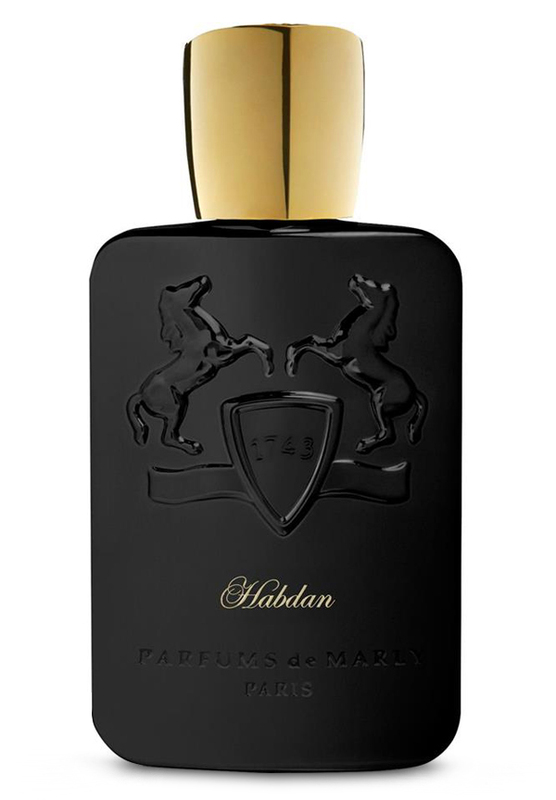 Parfums de Marly Sample Spray Vials - sold individually - Choose your fragrance! There are no member images of Habdan yet. Why not be the first?